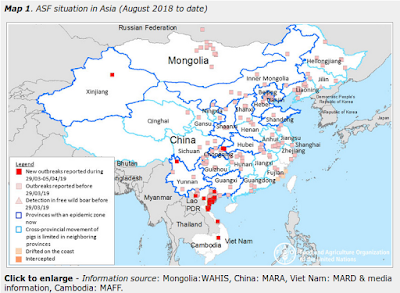 Although endemic in West Africa, for the past three years Nigeria has seen a steady decline in the number of Lassa Fever cases - and deaths - with the last significant outbreak reported in 2012. Last year, Nigeria reported only 250 cases (likely a substantial under count) and 8 deaths. By contrast - in 2012 - 117 deaths were recorded. 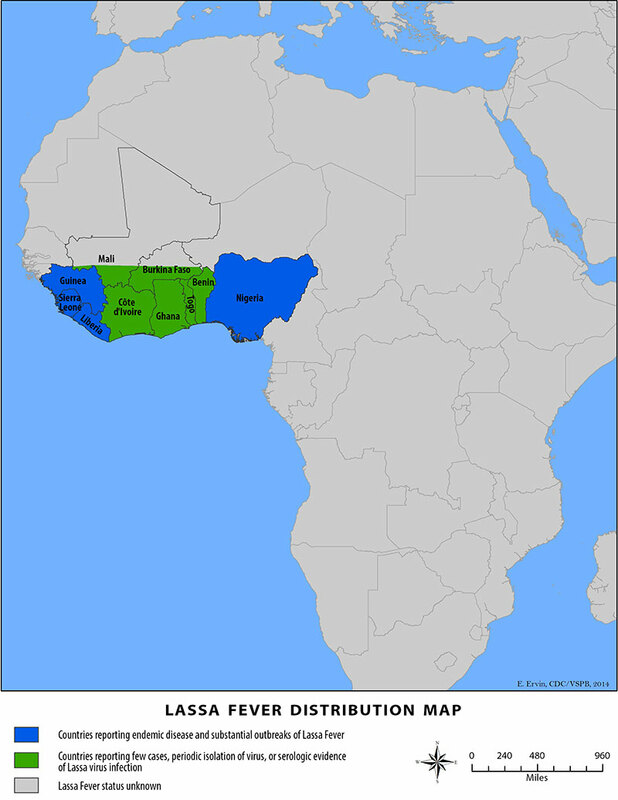 Lassa is a Viral Hemorrhagic Fever (VHF), although it is nowhere near as virulent as Ebola or Marburg. The Lassa virus is commonly carried by multimammate rats, a local rodent that often likes to enter human dwellings. Exposure is typically through the urine or dried feces of infected rodents, and roughly 80% who are infected only experience mild symptoms. The overall mortality rate is believed to be in the 1%-2% range, although it runs much higher (15%-20%) among those sick enough to be hospitalized. Over the past couple of days alarm bells have started ringing in Nigeria as it was revealed that 86 Lassa cases have been reported from 10 states over the past 6 weeks, and of those, 40 have died. An initial mortality rate (among hospitalized cases) of 46% - roughly triple that normally expected. While this high mortality rate is getting a lot of press, this is a relatively small sample, there is often a bias towards identifying the most critically ill subset of patients early in any outbreak, and that there may be unreported co-factors at work here. All of which could help to skew the mortality figures higher. Forty deaths in such a short time period, however, is a substantial jump over recent years. Last night (Friday), the Health Minister Isaac Adewole, speaking at a news conference, announced the latest case counts and called the number of deaths `unusual'. 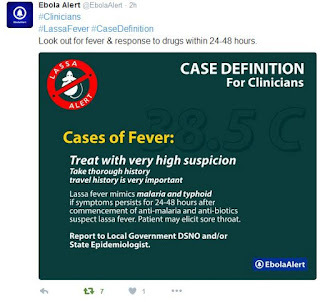 The twitter hashtag #Lassafever is seeing a lot of traffic overnight, with @EbolaAlert posting public health infographics and links. While Lassa is unlikely to spark a major epidemic, the same could have been said for Ebola a couple of years ago. Of late - when it comes to infectious diseases - conventional wisdom has suffered some setbacks. So we'll keep an eye on this outbreak, and I'll report back any significant information.